The roll-out of adult-use sales in the world’s largest cannabis market has been a bit of a mess. Recreational marijuana sales became legal in California as of January 1, and some projections had the state’s cannabis industry generating $3.7 billion in sales this year. However, a whole slew of issues–including steep taxes, licensing delays, challenging regulations, and backlogs in testing–have contributed to the slower-than-expected growth and plenty of frustration. 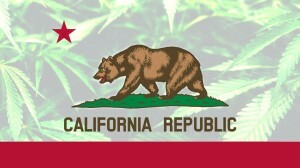 According to a survey commissioned by Eaze Solutions, 1 in 5 Californians have purchased cannabis from the black market in the past three months, and 84% of those same people are highly likely to purchase from the illicit market again in the future. Licensed cannabis retailers are losing out to unregulated cannabis that’s cheaper and without tax. Lack of access to legal cannabis is another factor that causes people to turn to the black market. While recreational marijuana is legal in the state, many local governments have restricted its sale in their municipalities. Hezekiah Allen, Executive Director of the California Growers Association, told Ganjapreneur that high tax rates have caused inconsistent and wildly fluctuating prices. “To have such a high tax burden on the few businesses that are able to make it through this gauntlet at the local level — frankly, there are so many other [unlicensed] businesses out there, consumers don’t need to know the difference. All they know is that over here the products cost half as much,” Allen said. The good news is that it doesn’t take much to convince consumers to purchase cannabis legally. The study found that a 5% decrease in the overall tax rate on cannabis could drive 23% of black-market customers to the legal market. 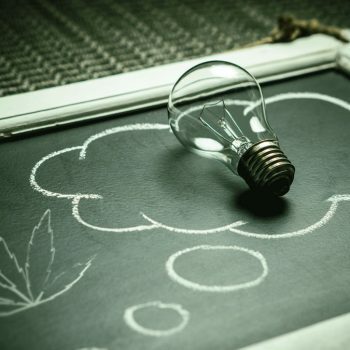 The main draws for people purchasing from licensed-marijuana retailers include safety and potency testing, consistent labeling and product quality, electronic payment options, and customer support. Testing regulations will lead to increased consumer safety–all cannabis products, including flower and edibles, must be testing for pesticides, pathogens, and potency. The problem is that there are 31 labs licensed to test cannabis products for more than 400 licensed dispensaries, leading to a bottleneck in the supply chain and causing product shortages. Nowhere are problems caused by licensing delays more evident than they are in Los Angeles. Licensing has been broken down into three parts. During the Phase 1 licensing period, the city issued 156 retail permits for existing medical marijuana dispensaries. Those 156 retail operations hold a cumulative 950 licenses for medical and recreational retail, cultivation, manufacturing, and distribution. Because the first round of application approvals were for existing medical marijuana businesses, it would make sense that there would be a well-established infrastructure. After all, California was the first state to legalize medical marijuana way back in 1996, so growers, retailers, and manufacturers had already been working together for more than twenty years. Unfortunately, with legal adult-use sales, California prohibited licensed cannabis operators from doing business with unlicensed operators, fracturing business relationships and leading to gaps in the supply chain. The Phase 2 licensing period runs from Aug. 1 through Sept. 13, and only non-retail cannabis business that have been operating since at least December 2015 will be issued permits. Of those eligible to apply for Phase 2, they’ll also have to meet the requirements for the city’s social equity policy. The policy requires that for every nonequity license, two equity licenses must also granted. There’s a lot of confusion surrounding the application process and who is eligible. “Even though I now put in a couple hundred thousand dollars to make sure it was going to be compliant, I still have no idea if it’s going to pass,” said Jerred Kiloh, owner of The Higher Path, one of L.A.’s 156 licensed retail dispensaries. Everyone who doesn’t meet the criteria for Phase 2 will have to wait for Phase 3, and there’s currently no timeline set. Most local jurisdictions, including LA, require applicants to have physical locations before applying, and given the delays in licensing, that means paying large sums of money for months on end for a space that can’t legally operate. Ready to dive into that California legal cannabis market? 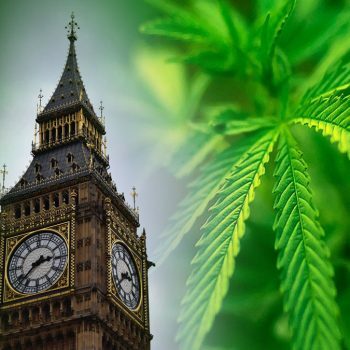 Consult with Colorado 420 Websites – we have experience in avoiding cannabis industry design pitfalls!